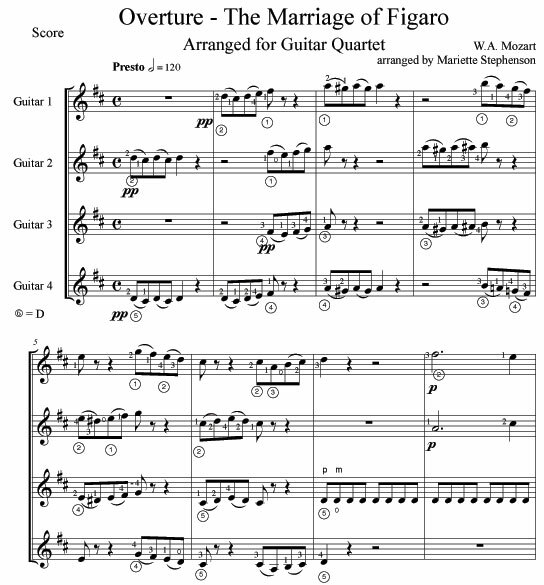 The Overture to Mozart's opera "The Marriage of Figaro" is one of the most recognizable works from the classical era and loved by audiences around the world. 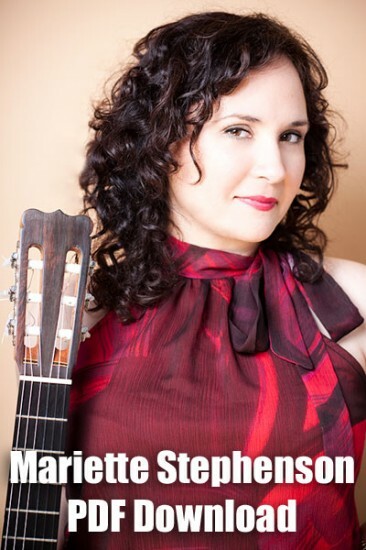 This arrangement for guitar quartet has been rated as intermediate/advanced in difficulty, and has performed by guitar orchestras including the University of Toronto Guitar Ensemble. Preview "Marriage of Figaro" PDF.